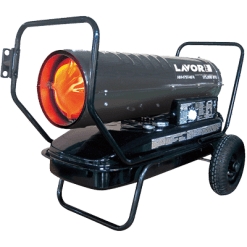 The Lavor range of heaters can all be classed as warehouse heaters. 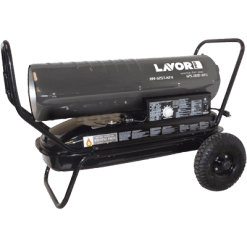 The heater you need depends on the size of the warehouse that you require to heat. 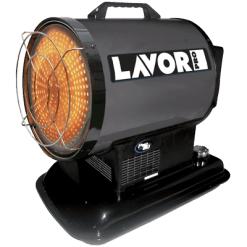 Lavor has two choices of heater as well, the forced air heater or the radiant / space heater. Every heater is specified by their Power/Energy and their Heating Area. BTU (British Thermal Unit) is the measurement of Power. Therefore, the greater this number, the greater the heat which is produced. Especially relevant is the heating area which is measured in Square Metreage. This measurement is to be used as a guide to how many “squares” a heater can heat efficiently. 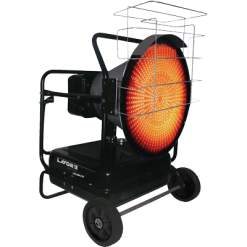 Each of the heaters on this site specify both, allowing you to get a good idea of what unit is most suited to your needs. Other specifications which are useful are the Fuel Tank size and the Operating Hours. This will also give you an idea of what you’re ongoing costs will be for these heaters. 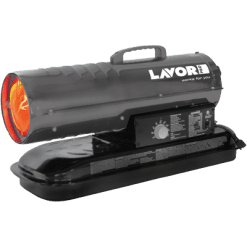 In conclusion, Lavor has a good range of warehouse heaters which will suit all your warehouse heating needs.